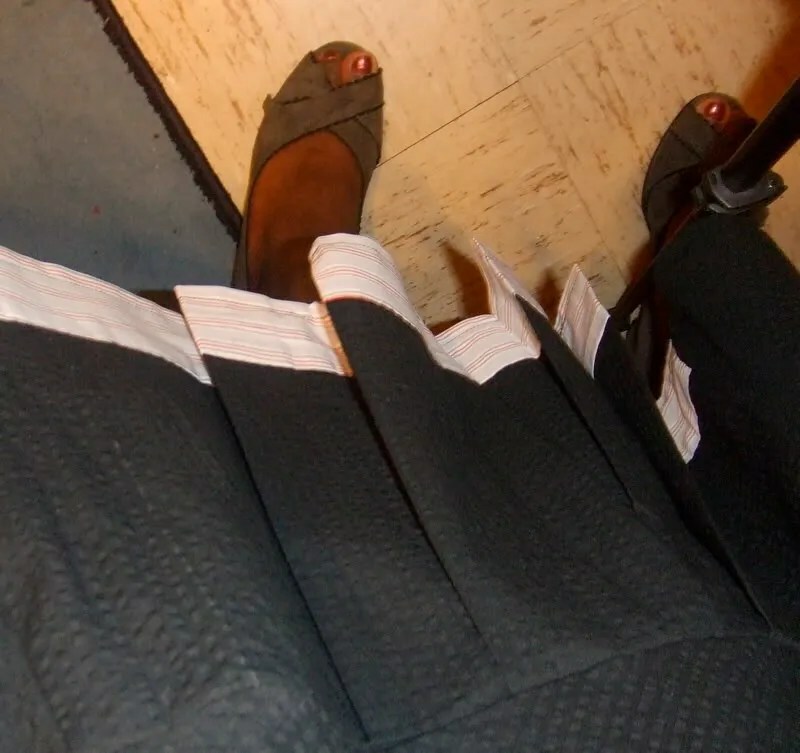 Last night I hemmed my Roberto Musso Patrones skirt from issue # 252 (January 2007). I rather like this skirt. It’s fun to wear and has a throwback vibe. 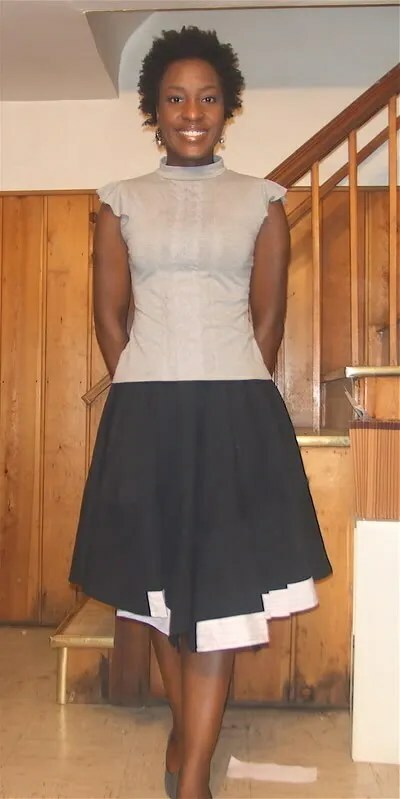 I wasn’t sure how to wear it at first without looking like a ball of fabric, but Carolyn reminded me that the full skirts from the 50s and 60s were always worn with form-fitting tops. I think it works if you have either no hips (ha!) or a well-defined waist. Construction is simple, as long as you clearly transfer all the alphabet markings for matching up seams. I also suggest you lay out the pattern pieces first before you begin sewing. It kind of goes together like a puzzle with one pleated section and one banded section on each side of the skirt. It’s basically a circle skirt with pleated insets and contrast bands. The challenging portion for new sewists would be sewing the corners of the insets in. There is also a TON of finishing inside the garment. 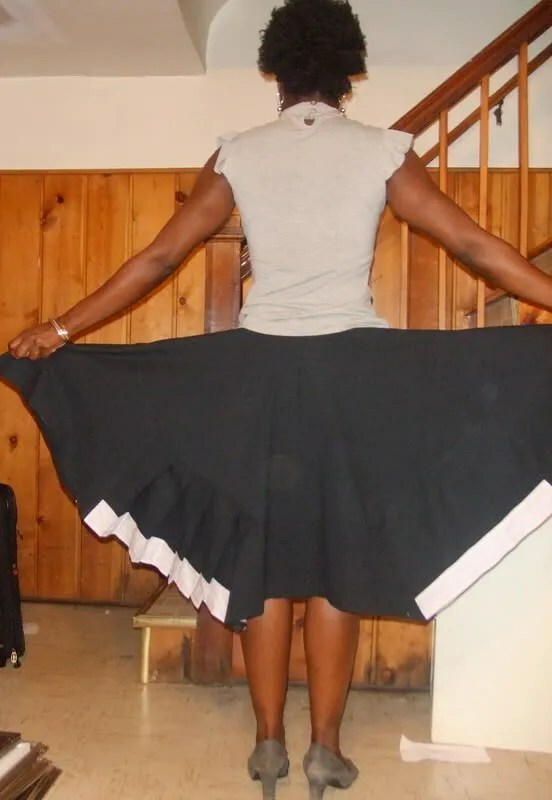 Because it’s a circle skirt it’s very full. 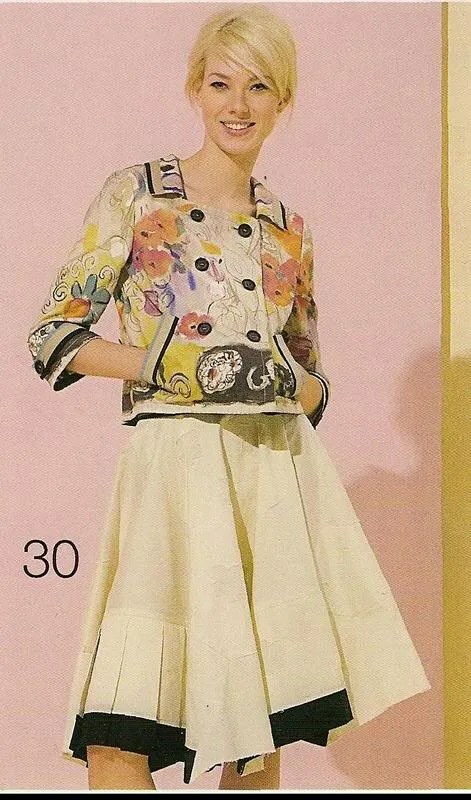 If you choose to make this skirt or something similar, be sure to stabilise the waistband. You’ll also need to let it hang a day or so for the bias to fall. I made a straight 40 (the equivalent of a BWOF 38) and found it large. I ended up taking about two inches out of the side before inserting my invisible zip. I think that’s the nature of the skirt not Patrones sizing. And mine is a little bulkier than the model’s. Also, I think the skirt is a hair long. On the model it’s around the knee. If you want it shorter, you’ll need to do so on the pattern rather than after construction. Oh, mine is made from leftover black seersucker and shirting from other projects. 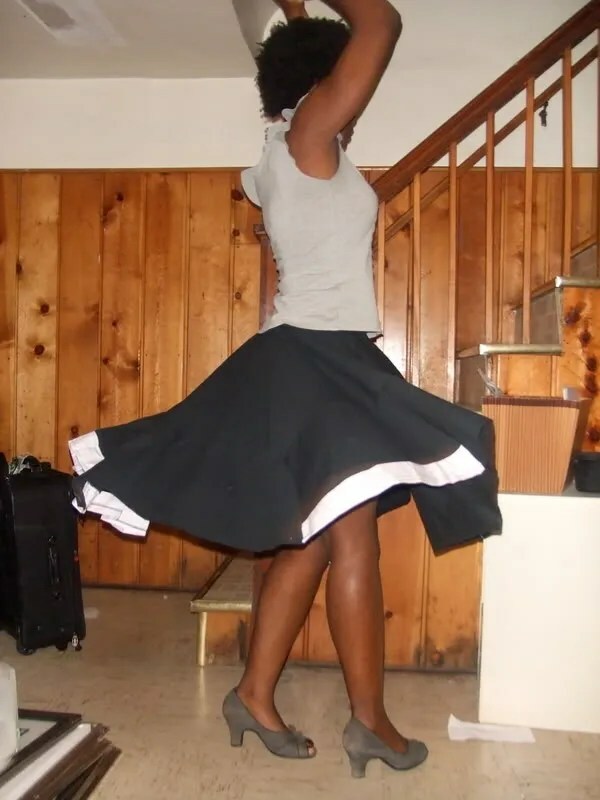 I’m absolutely making this skirt again. I can picture many versions including a wool plaid this winter.